This newsletter was originally published on January 31, 2018. Last week, President Trump imposed a 30% tariff on imported crystalline silicon photovoltaic modules and cells. The first 2.5 GW of cell imports every year are excluded. According to the Trump administration, the tariffs will decline in 5% increments over a four-year span, ending at 15% in 2022. Federal trade officials will allow companies to apply for specific solar products to be exempted from the tariff. 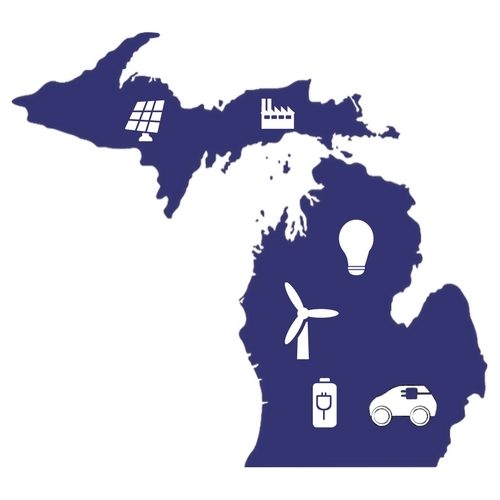 In Michigan, and across the country, parties have been divided in response to this tariff decision. U.S. Senators from Michigan Debbie Stabenow and Gary Peters applauded the President’s decision, saying it would support domestic manufacturers. However, the Solar Energy Industries Association warns the tariff will lead to about 23,000 job losses in the U.S. and a report by GTM Research estimates an 11% reduction in U.S. solar installations through 2022 as a result of the tariff. A Chicago Tribune columnist claims that placing tariffs on imported products is a protectionist policy that will harm U.S. consumers and the solar industry. According to Greentech Media, the tariff adds up to roughly $0.10-$0.15/watt, which could reduce utility-scale solar installations by 9%. 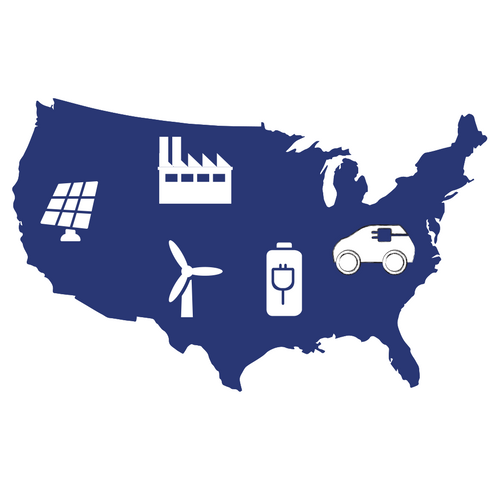 However, GTM Research predicts that this tariff will not significantly increase the economic viability of the petitioners, Suniva and SolarWorld. However, these tariffs are expected to benefit certain companies like thin film manufacturer First Solar. In fact, several solar manufacturers announced expansion plans following the adoption of the tariff, despite most experts saying a manufacturing renaissance is unlikely. A Quartz article explains that the tariff will likely not be enough to spur investment in manufacturing, but may cost taxpayers more than $400 million. Despite these concerns, President Donald Trump said he does not expect the tariff to result in a trade war or to harm the American solar industry. Instead, he anticipates that foreign manufacturers will come to the United States to build their products domestically. Yesterday, the East Lansing broke ground on a new community solar, being contract by Michigan EIBC member company Patriot Solar Group. “Community solar, as a whole, is really starting to take hold in the country,” says Jeff Mathie, CEO of Patriot Solar Group. Mathie partnered with Lansing Board of Water & Light, the City of East Lansing, and Michigan Energy Options on this project because he believes that thousands of people want to use solar energy but cannot install solar panels on their property. The first few panels will be installed by the end of the week. When the project is completed, there will be 1000 300-watt panels. Governor Snyder declines to take action on Line 5 resolutions. Efforts to recall four township officials in the Upper Peninsula result from concerns that the officials are in violation of conflict of interest laws. DTE Energy and Consumers Energy are planning 3-4% rate cuts as a result of costs saved under the new tax law. A company is considering building a natural gas-fueled power plant near Fowlerville that could generate enough electricity to power over 1 million homes. Many residents oppose this proposed power plant. Consumers Energy is trying to prevent PURPA regulations on buying renewable energy from independent producers. Critics are concerned about a potential conflict of interest if DTE’s proposed $1 billion natural gas plant becomes a customer of the utility’s NEXUS pipeline. Michigan’s Representative Fred Upton is one of 33 U.S. House Republicans to have joined the bipartisan Climate Solutions Caucus. The “Zero Cities Project” may reduce Grand Rapids’ carbon footprint to zero by the year 2050. A Detroit company is looking to install renewable energy projects in areas around the city struggling with energy poverty. Upper Peninsula groups see a bigger role for solar and energy efficiency. East Lansing will get new community solar project, contracted by Michigan EIBC member company Patriot Solar. The National Energy Foundation-Michigan office, based in Milford, is a recipient of an Inspiring Efficiency Award from the Midwest Energy Efficiency Alliance. Michigan EIBC member company 5 Lakes Energy was recently featured in the 3rd edition of Entrepreneurs of Michigan, which focused on B Corporations. Federal regulators approved new rules submitted by the North American Electric Reliability Corporation (NERC). Michael Dourson, President Trump’s nominee to lead the Environmental Protection Agency’s chemical safety office, is leaving his senior adviser post at the agency in the coming weeks. Dourson had withdrawn his nomination and stayed on as an advisor in December after opposition from several Senators. The Supreme Court unanimously rejected arguments by the Trump administration that lawsuits over the Clean Water Act should be moved to federal appeals courts. Across the country, businesses want stronger clean energy mandates. Utility Dive highlights 10 power sector trends in 2018, including a focus on resilience, pricing reforms, roadblocks for renewables, and opportunities for energy storage. A new report finds that wind and solar jobs currently outnumber coal and gas jobs in 30 states. The mayor of South Miami is working to help homeowners boost their renewable energy efforts. Apple, Facebook and Google are the latest companies to challenge Duke Energy’s plans to raise electricity rates in North Carolina. Every bottle of Budweiser brewed in the U.S. by this spring will be made with 100% renewable energy. Exclusive: Institute for Energy Innovation and the Michigan Energy Innovation Business Council are hosting a Solar 101 Lunch & Learn on February 6. Please note the new date; this event was originally scheduled for January 25. This event is only open to Michigan state legislators, legislative staff, and Michigan EIBC member companies. Register here.